What makes it Hot Diggity great: "This is such a stimulating teether toy with bright colors and great tactile surfaces. 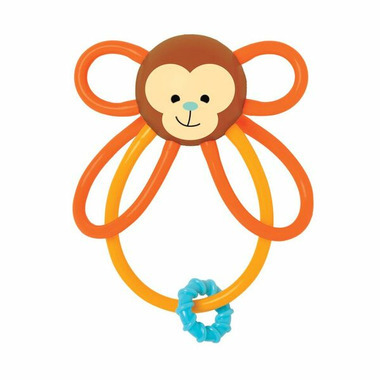 The tiny rings make a nice sound unlike most rattles, and theyre securely fastened to the teether to ensure safety." Caution: Surface wash only,Պdo not submerge in water. This product meets or exceeds EN71 and CPSIA safety regulations.